Well... hello!!! Hope everyone had a lovely Christmas. I did! Even though I have done a couple of short posts over the last two weeks it seems like I haven't posted anything in ages! Feeling a bit rusty, lol! 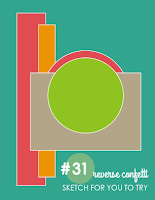 But over the last few days I have actually had the time to make a few things (two that I will share at a later date) and today I'm sharing a card that I made for the current Essential by Ellen Pinsights challenge. 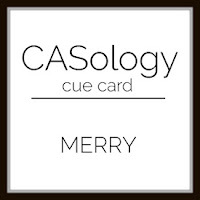 This card also works for the current CASology challenge (merry), Simon Says Stamp Monday challenge (winter wonderland) and Simon Says Stamp Wednesday challenge (make it sparkle). 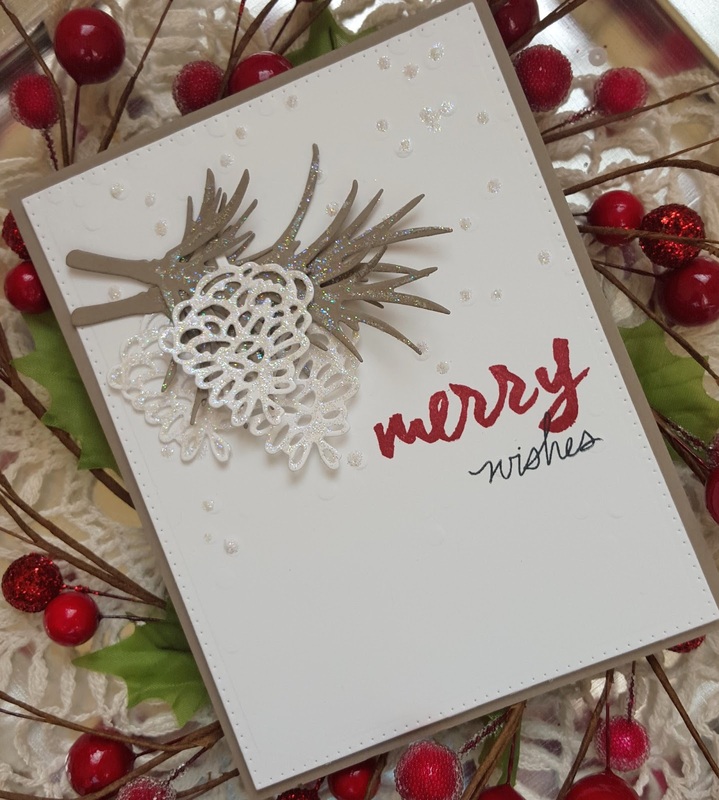 I used the Essentials by Ellen Poinsettia & Pine dies along with the Essential by Ellen Brushstroke Christmas and Merry & Bright stamp sets. 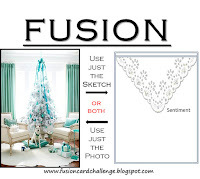 I was inspired by the snow covered branches you can see in the inspiration photo. After die cutting all my pieces I coated them with Ranger Star Dust Stickles and let them dry. 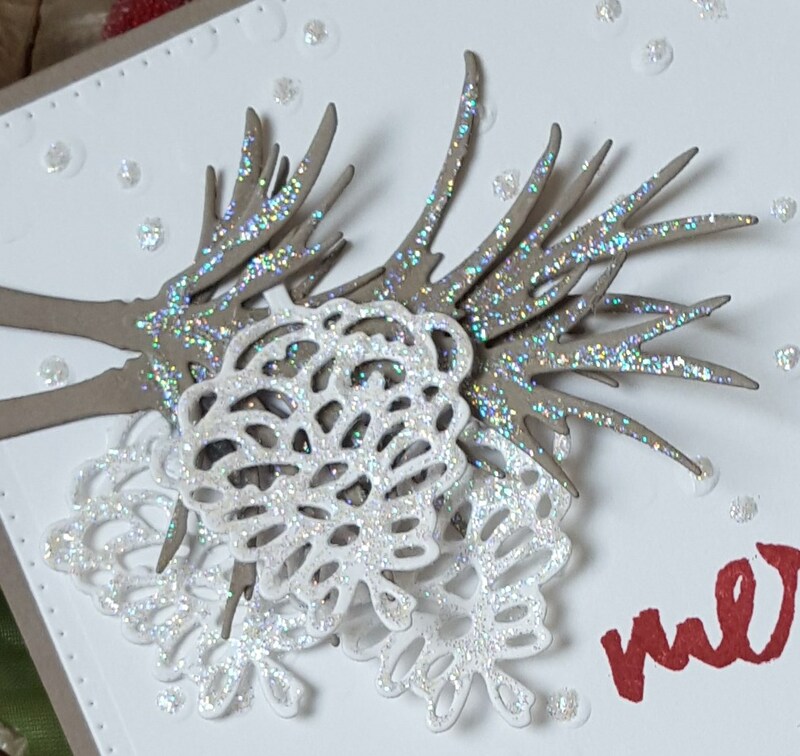 I die cut a panel of white cardstock, partially embossed it with my Decorative Dots embossing folder and then added Star Dust Stickles to some of the dots. At this point I should have stamped the "merry", but didn't! I actually stamped that after I had glues my pine branches and pinecones to the panel. Since I only wanted to use the word "merry" from the sentiment "merry and bright" I masked off the portions I didn't want, inked up the merry, removed the masks and carefully stamped the word. I added the word "wishes" underneath that in black ink. I think I should have tucked it up closer to merry, but it still looks okay. 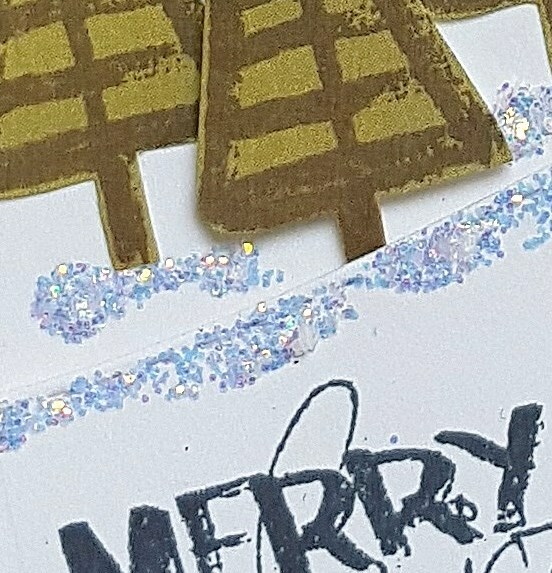 I have included a close up of the branches and pinecones so you can see all the sparkle on them. 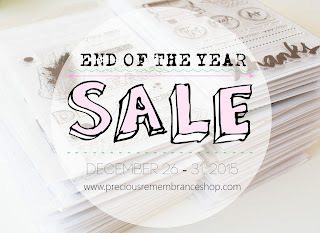 Precious Remembrance Shop End of Year Sale!! Hey friends!!! Hope everyone had a truly wonderful Christmas!! My boys were up at 5:45 (even the 17 year old!!!) and ready to open gifts! 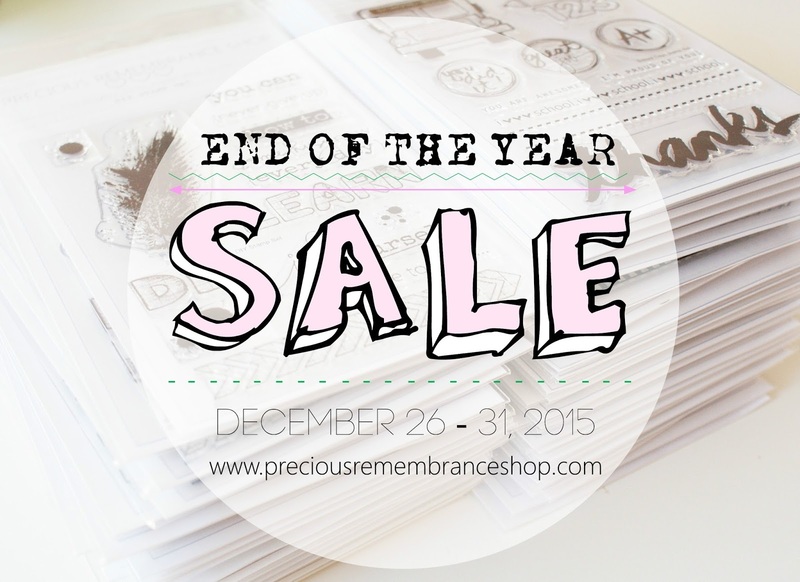 I'm popping in to let you know that Precious Remembrance Shop is having a year end sale! Click over to the PRS Shop and pick up some fabulous sets for a very good price!! Thanks for stopping by today... hoping to get a card or two made to share soon! Hey friends!! Wow... Christmas is just a few days away!! My little guy is soo excited! Every day he tells me "Christmas is almost here"! Love the joy and excitement that little kids have when it comes to Christmas time. 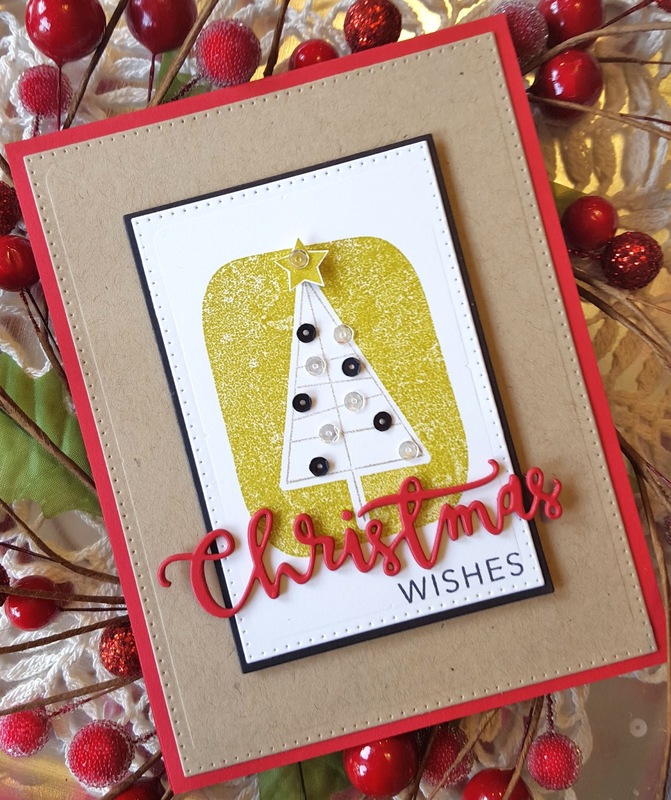 Have a card to share for a few challenges.. Freshly Made Sketches, ColourQ, Sparkle and Shine and Simon Says Stamp Wednesday challenge of die cutting. 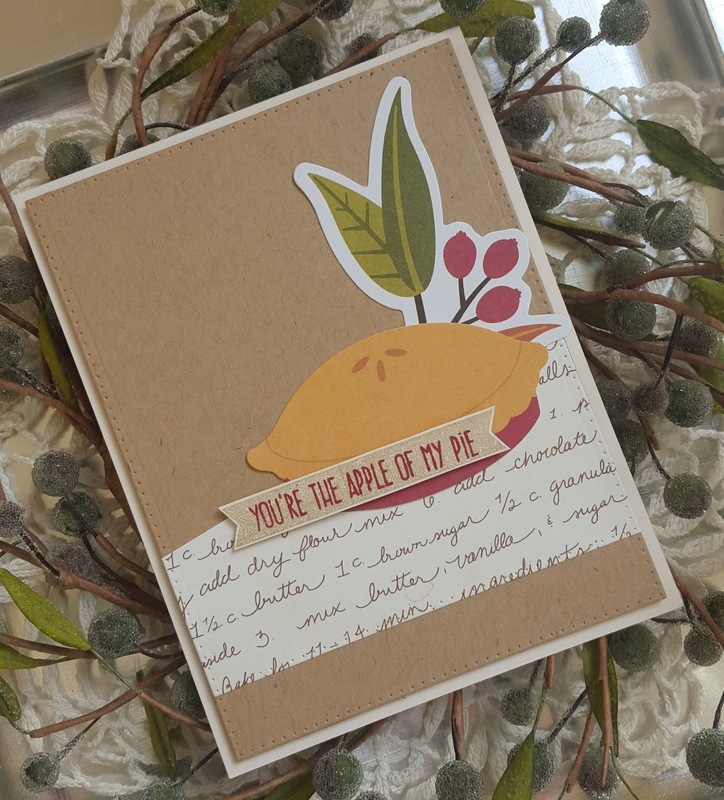 The current Simon Says Stamp flickr challenge is also die cutting so I have posted my card in their flickr gallery, as well. 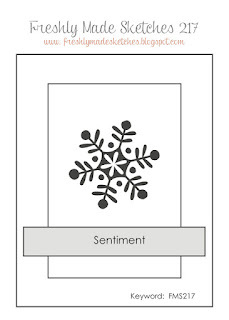 I have had the SSS stamp set Christmas Graphics for ages and have wanted to make a card with it, but just couldn't seem to come up with anything. But when I saw the new FMS layout I knew it would work perfectly with Christmas Graphics. 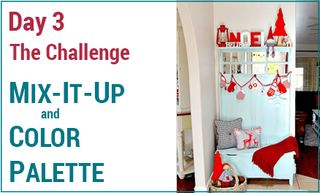 All the panels were die cut using my A Jillian Vance Design Polka Dot Rectangle backdrop dies. 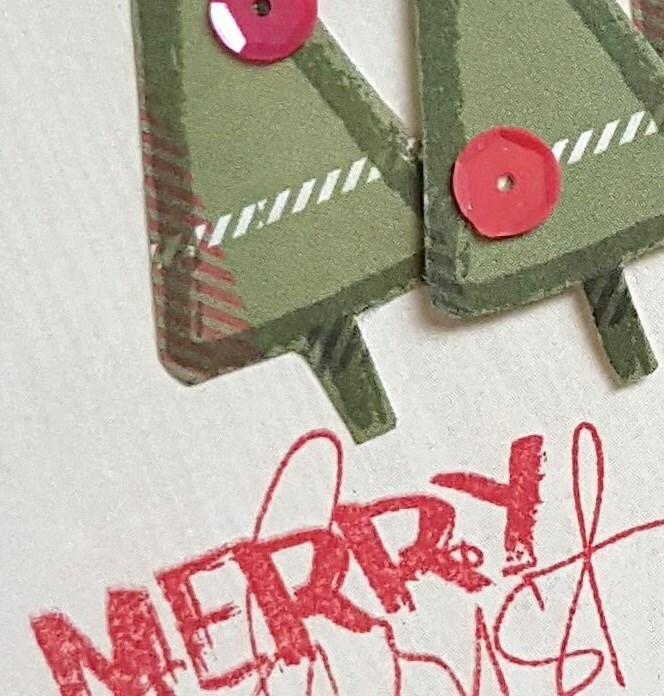 The smaller one was stamped with the larger Christmas tree image using Kiwi Kiss ink and then the "stick" tree was stamped inside that using Crumb Cake ink. A little star from the set was also stamped in Kiwi Kiss and trimmed out. The Christmas (from the SSS die set Christmas Blessings) was die cut 4 times from red cardstock and then all the pieces glued together. I adhered the word to my panel and then added the word "wishes". The star was added to the top of the tree along with some clear and black Pretty Pink Posh 4mm sequins. That panel was matted with a black panel, adhered to the kraft panel and then everything adhered to a red card base. Love the FMS layout so I will definitely be using it for another card in the near future! 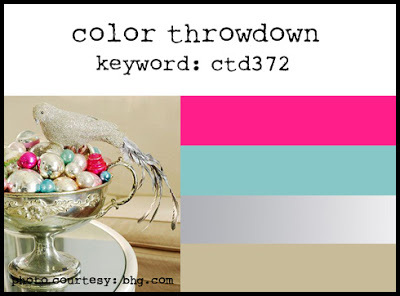 First up is a card that I made for the December Reverse Confetti Sketch for You to Try and the current Color Throwdown challenge. 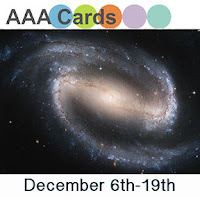 I think this also works for the current AAA Cards challenge (it is a Christmas card and it has stars on it) so I will be posting it there. I had meant to use a different RC stamp set, but ended up using the same set I used for the November SFTTY... 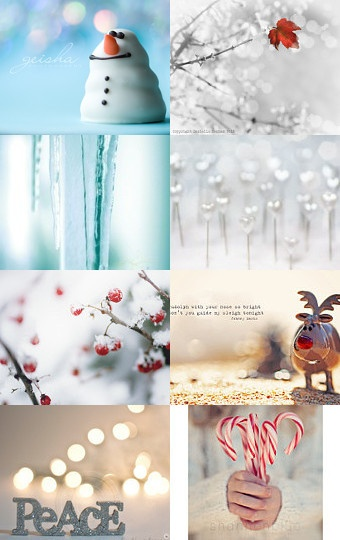 Seasonal Sentiments. 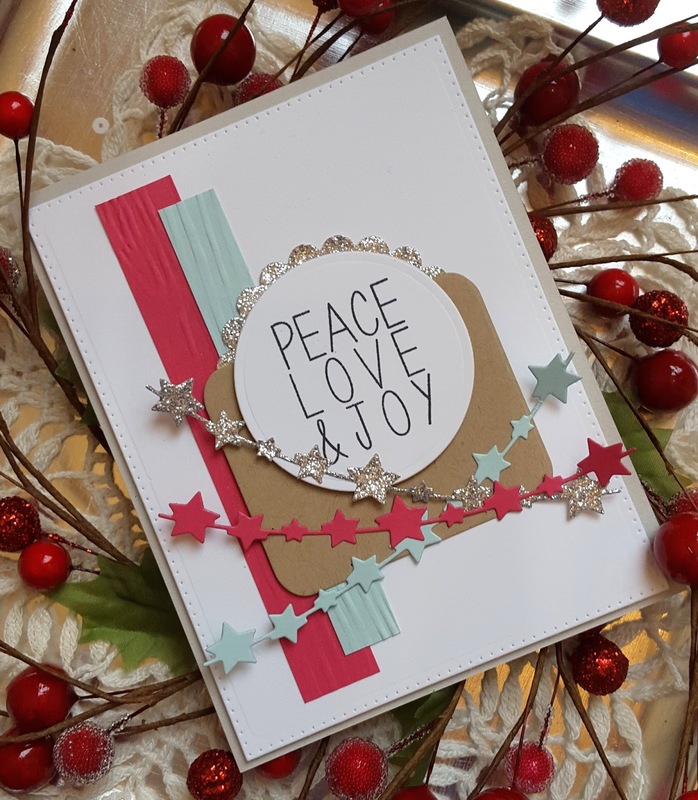 After I die cut everything (using Spellbinders plain and scallope circle dies and a RC Confetti Cut die) and then started to put everything together I thought the card was a bit plain. I added some embossing to the two cardstock strips, but that didn't help much. So I decided to die cut the star garland (from Reverse Confetti) from the aqua, hot pink and silver glitter paper. It definitely adds a bit more to the card, but I'm wondering if I should have opted for some sequins instead. But I guess we all have those cards that don't exactly turn out how we thought they would, lol!! The second card is for the current Freshly Made Sketches. 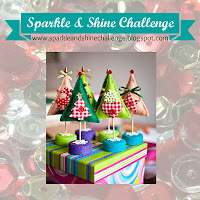 I used papers and stickers from the December Simon Says Stamp card kit and some glitter paper from Heidi Swapp. I absolutely love the glitter paper that comes in the pad. I need to head to Joann's to see if they still have any left. The papers I used are from PinkFresh Studio. I die cut the main panel and then cut the two other cardstock pieces. 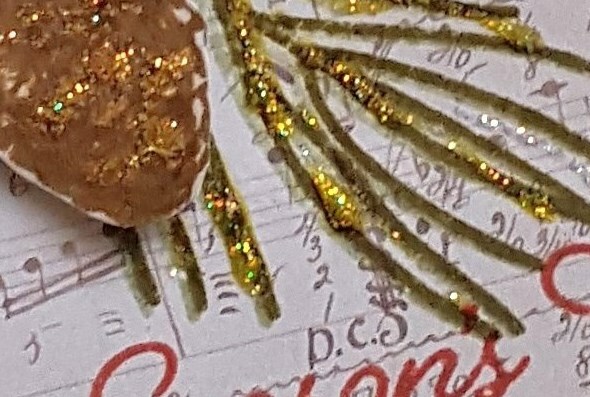 A strip of the bright white glitter paper was added to the one edge of the smaller piece. I layered up everything and finished with a PinkFresh Studio puffy sticker. Some self-adhesive sequins from Jillibean Soup were added and I was done. Absolutely no stamping on this one. 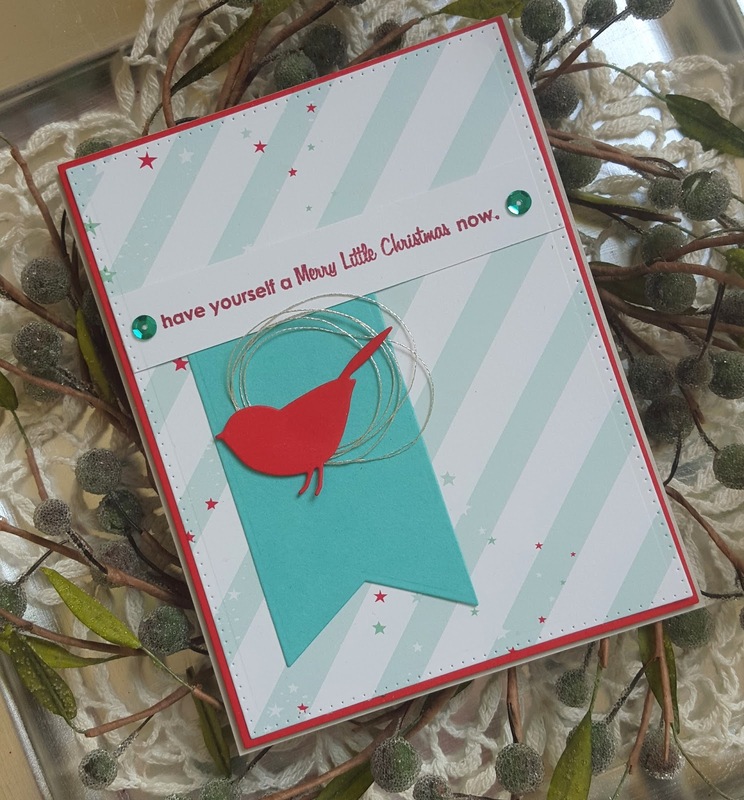 Sometimes it is nice to make a card that doesn't involve stamping! Hey friends!! 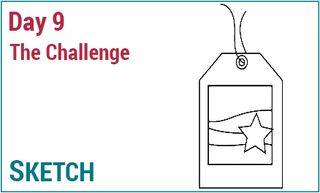 Popping in with a tag I made for several challenges. 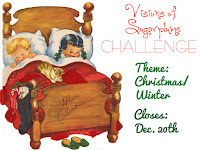 I have never taken part in Ellen's 12 Tags with a feminine twist challenge mainly because I have never been much into making tags. 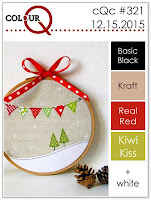 But this year I have made several tags and I'm really enjoying it so I thought I would play along. I'm also going to post this to the current Memory Box challenge, the current Essentials by Ellen Mix It Up challenge (Memory Box) and the current Simon Says Stamp Wednesday challenge (tags). 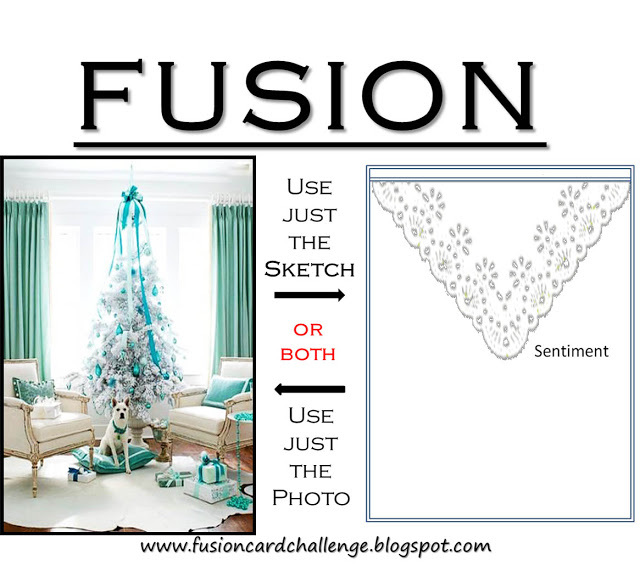 My tag is inspired by Kittie's gorgeous tag from day 2 of 12 Tags and the sketch provided on day 9. After I die cut the tag from cardstock and patterned paper (from My Mind's Eye) I adhered the two together. 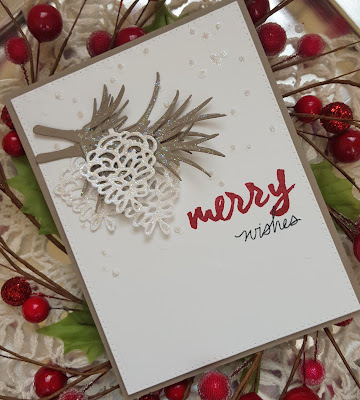 The poinsettia was made using the Memory Box Poinsettia Bloom Trio and the landscape pieces were cut using the MB Country Landscape border die. The landscape pieces were cut from some woodgrain patterned paper from My Mind's Eye, trimmed and then layered on the tag with the top layer adhered with foam dimensionals. The poinsettia was created using all three blooms from the die and then some Diamond Stickles added to the center. The leaves were also cut using the same die. I adhered the poinsettia and then used to words/phrases from the Essentials by Ellen Merry & Bright set to create my sentiment. I added a bit of Diamond Stickles to the tops of the houses, the tree and some of the ground and then finished things off with the green ribbon and twine bow. Hey friends!! 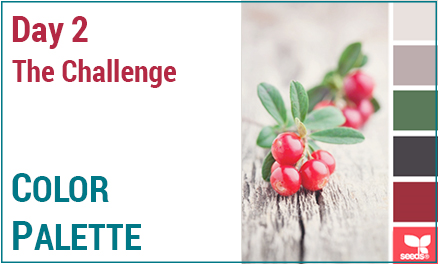 Popping in with a card for a few challenges. Lately my crafting speed has been slow and slower, lol, so it took me about a day to get this card made. Of course, it doesn't help that I watercolored the background. I'm playing along with CASology (tree), ColourQ, Simon Says Stamp Monday challenge (holly jolly stamping) and ChouxChoux Paper Art Christmas/Winter challenge. 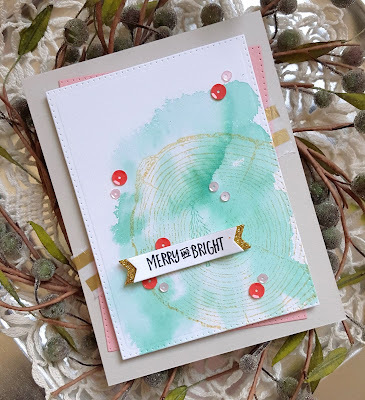 After my watercolor background had dried sufficiently I stamped it with the fun Concord & 9th Tree Ring background stamp using Delicata Golden Glitz ink. A little tree from the Concord & 9th Shine Brighter set was stamped over the tree ring using Coastal Cabana ink. I die cut a banner using one of the smaller dies from the MFT Fishtail Flag Stax dies and stamped it with the sentiment. A second banner was die cut from gold glitter cardstock using the same die, but made slightly bigger, as a mat for the sentiment banner. The watercolor panel was die cut using my A Jillian Vance Design Polka Dot Background dies. 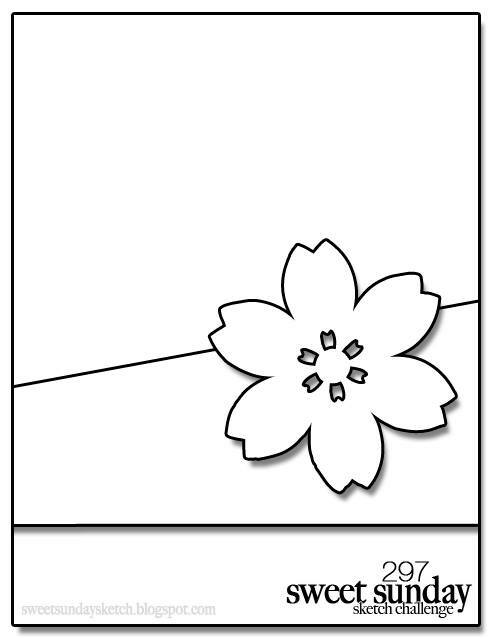 A second panel was cut from pink cardstock as a layering piece for the main panel. I added the sentiment banner to the watercolored panel and then some sequins in coral and pink. 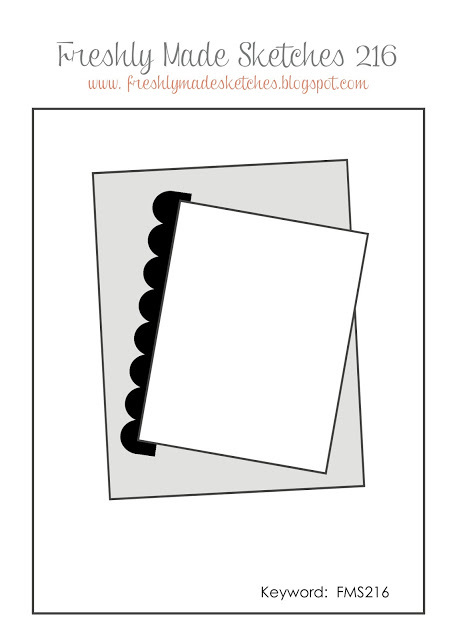 The pink panel was adhered to a light grey card base at an angle and the main panel was adhered on top. The card turned out pretty much how I thought it would, but I think I added a few too many sequins... what do you think? Thanks for stopping by today... I hope you will check out my project and leave a little love! Hey friends!! Happy weekend!! Popping in with a couple of cards to share for several challenges: Sweet Sunday Sketches, CASology (pie), Freshly Made Sketches and Merry Monday. The first card is for CASology and Sweet Sunday Sketches. When I saw the cue word pie it made me think of my Simon Says Stamp November card kit and the fun stamp set that it came with that revolves around pie and so I just had to play along. And since the Sweet Sunday Sketches layout was super simple the two were the perfect fit! 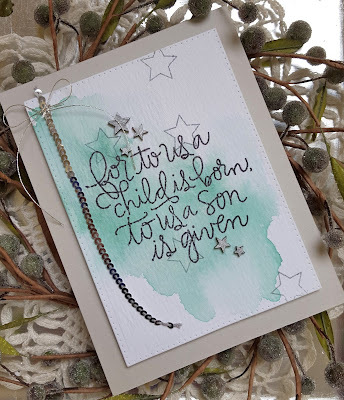 The SSS card kit came with a pack of die cuts and I actually used a couple of those for my card along with a sentiment from the stamp set and some patterned paper from the kit. I die cut my panel from kraft cardstock and a second from patterned paper. 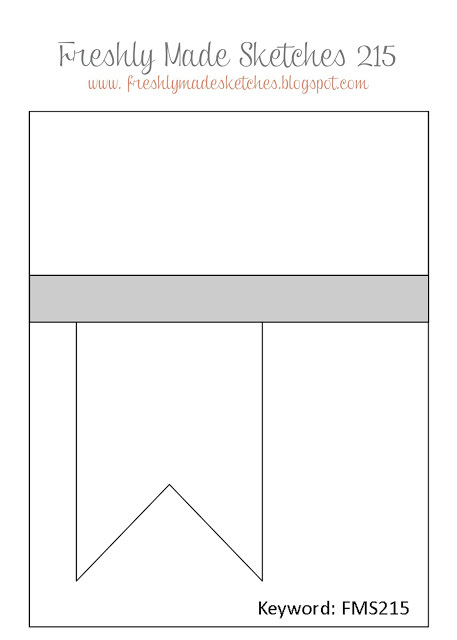 The patterned paper piece was cut on the diagonal and adhered to the kraft panel. The little berry sprig and pie were then layered on. 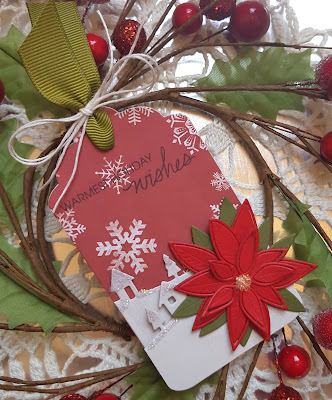 I stamped the banner in kraft ink and added the sentiment in red, trimmed out the banner and adhered it to the card... super simple. 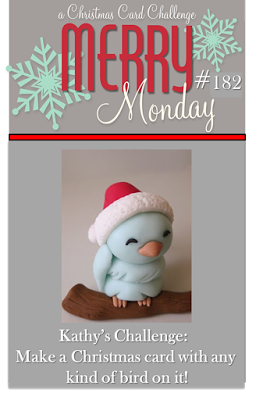 The second card is for the current Merry Monday challenge to use a bird on your Christmas card and uses the current FMS layout. Don't have a lot of bird images, but I do have this cute little Memory Box bird die so I used that. The papers and cardstock I used for this card are from the Simon Says Stamp December card kit. Since I wanted the bird to be perched on the banner I decided to use that strip that runs across the sketch as the place to put my sentiment. After die cutting everything and layering it on the card base. I thought the bird looked a little plain just sitting there on the banner so I added some loops of silver metallic thread to give him a place to perch. The sentiment is from the very old PTI set Merry Little Christmas. 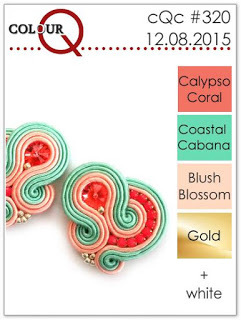 I added a couple of sequins that came with the kit to either side of the sentiment for a bit more finished look. Another super simple... but at this time of the year simple works really well for me, lol!! This card fits the current Memory Box challenge so I will be posting this card there, as well. Thanks for stopping by today... I'm having a giveaway if you want to check it out just click here. 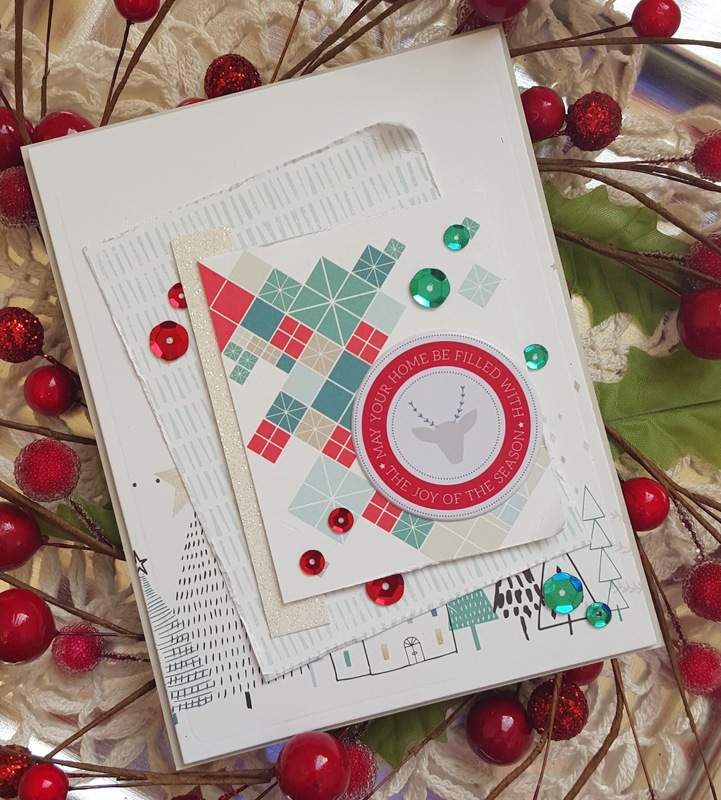 Supplies: Cardstock: SSS fog, Audrey Blue, Lipstick Red; PTI kraft and cream; Stamps: PTI and Simon Says Stamp; Patterned Paper: Pink Fresh Studio (card #2) and Pebbles, Inc. (card #1); Dies: Memory Box, My Favorite Things and A Jillian Vance Design; Inks: Stampin Up! 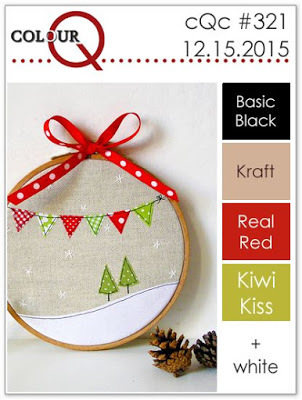 ; Sequins: Jillibean Soup; DMC silver metallic thread; Die cuts: Pebbles, Inc.
Hey friends!! Happy Thursday!! 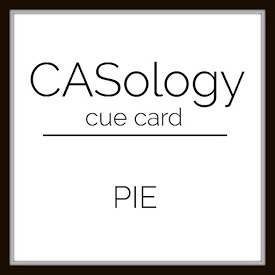 Popping in with a card to share, as well as a little giveaway (more about that later). I made this card for the current Simon Says Stamp flickr challenge to create a Christmas card and will also be posting it to the current Fusion challenge of blue Christmas as I see some aqua blue (the color I used) in the photo. Obviously I only went with the inspiration photo for my card. 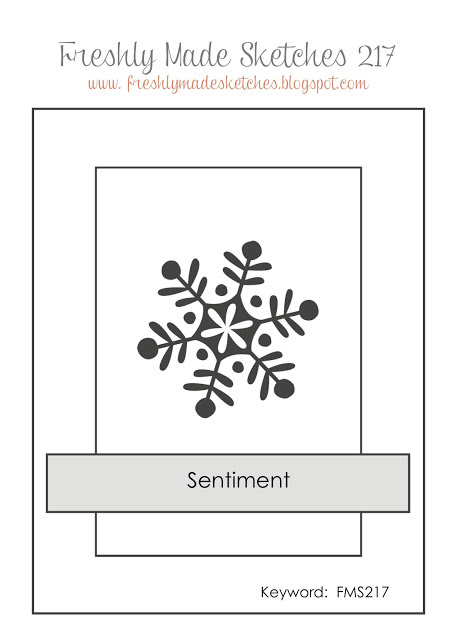 I have to be honest and say that this card almost didn't happen because after I stamped the sentiment from the SSS set For To Us I could figure out what to do next. I finally decided to just go with having the sentiment front and center and adding a few embellishments and a little bit of stamping. After stamping the sentiment I spritzed the panel with some Prima Color Bloom Pearl White spray mist. 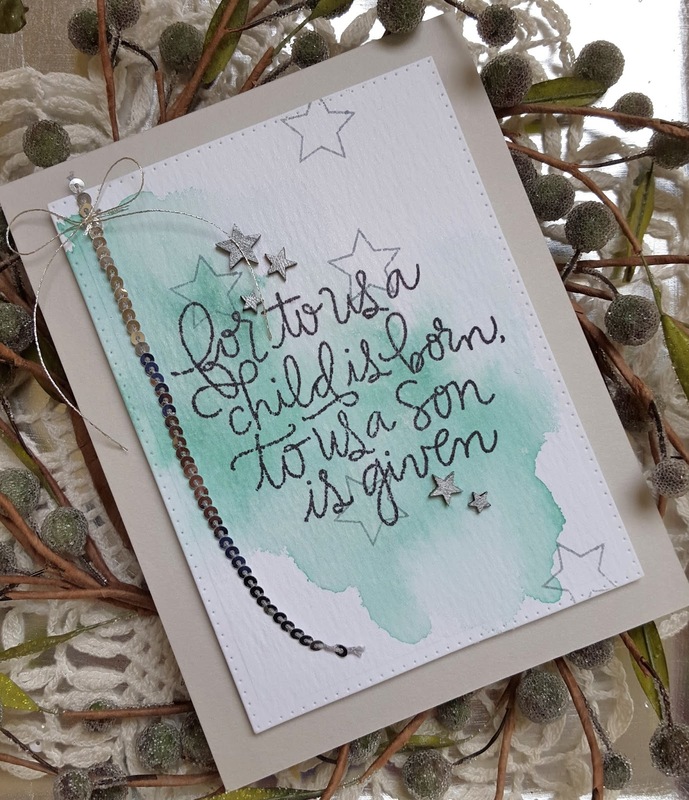 A star from the SSS set Christmas Graphics was stamped randomly using grey ink and then I added the little bit of silver sequin trim, silver thread bow and the stars that I inked with Delicate Silver Shimmer ink. Once that was done I mounted the panel on my favorite neutral cardstock... Simon Says Stamp fog. For a card that almost didn't happen I think it turned out pretty well, lol!! Now for the giveaway. Today is my birthday and I thought I would celebrate by giving away some presents... two presents to be exact. 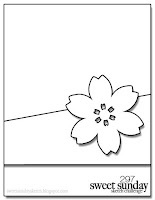 Present number one is a stamp and die set from CAS-ual Fridays Stamps (Autumn Blessings and Acorn dies). Present number two is a stamp set from Concord & 9th (Painted Thank You) and eight of their Happy Hues cards. (Click on each item to see what you will be getting.) In order to win all you have to do is leave me a comment... nothing else. You don't have to follow me or be a current follower or tweet about it, etc. If you want to do that, feel free to do so, but it isn't required. I will take comments through next Thursday (December 10th) and then pick my two winners. I will post the winners here on my blog hopefully on Friday December 11th. Unfortunately, due to postage costs I will have to limit this giveaway to US and Canadian residents.